His Ph.D. thesis “Historycznomedialne przemiany scenotechniki, notacji i podmiotowości w sztukach performatywnych” was presented at the Institute of Theatre and Media Arts, Adam Mickiewicz University in Poznań, in 2018. His scholarly interests include links between performative arts and new media, cyberculture and media history. He has co-authored Współczesny teatr i film wobec wyzwań nowych mediów (2015). His work has been published in journals including Didaskalia, Panoptikumand Teatr Lalek. 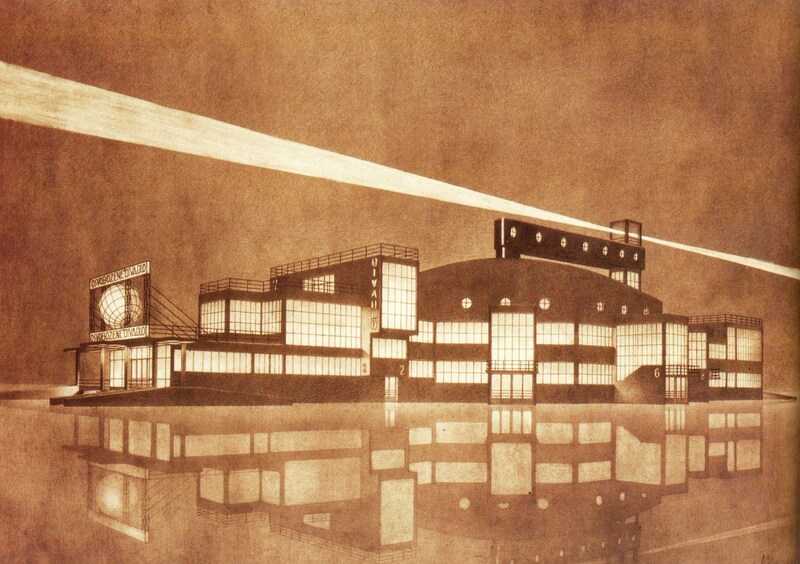 The purpose of the article is to discuss two unrealised avant-garde designs for theatre buildings: the Josef Chochol and Jiři Frejka project for the company Osvobozené divadlo, and Teatr Symultaniczny, conceived by Szymon Syrkus and Andrzej Pronaszko. As Jakub Kłeczek proposes in the article, these projects can be interpreted today from the point of view of present-day theatre professionals’ interest in new technologies influencing the quality of staging. The method allowing for such an interpretation is media archaeology, devised and applied by scholars including Siegfried Zielinski and Erkki Huhtamo. Media archaeology enables the examination of neglected or forgotten technical developments and artworks. Rather than understanding media history as a sequence of ever-more perfect solutions, media archaeology is mindful of the cyclical emergence of certain characteristics of media. ‘Dream machines’ is Huhtamo’s proposed term for unrealised structures and devices. The term also encompasses forgotten, eccentric works of individuals prevented by unfavourable circumstances from bringing their projects to fruition. In the present article, the author depicts the projects named in the title as examples of dream machines: initiatives aiming to change patterns of communication in performative arts.